In the market for a simple snowboard bag that will get your gear from mountain A to B with no problems on the way? 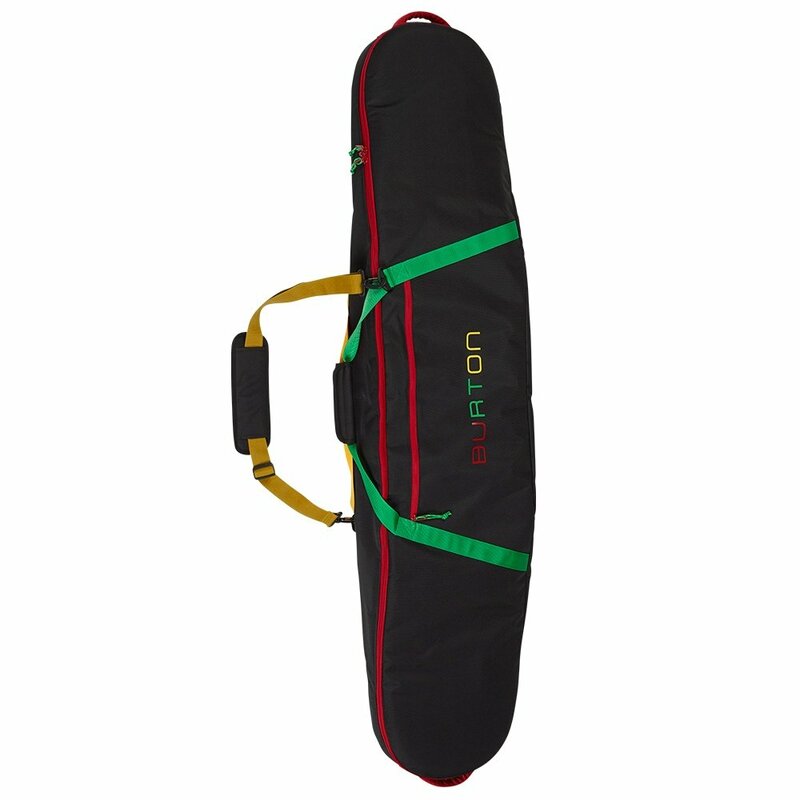 Voila, the Burton Gig Bag is perfect for you. This bag is priced affordably enough for one-ski-trip-a-year snowboarders to justify, but it still has the serious protection and durability you want. This snowboard bag can carry not one but two boards, and maybe more if you take the bindings off. Padded cushioning ensures that your gear stays in top shape, and a padded, removable shoulder strap keeps your neck feeling good too. The Gig Bag is a smart choice for protecting your gear on the go. The largest size option accommodates snowboards up to 181cm. The removable strap can be tucked in the bag for air travel. The fully padded pockets protect your boards and gear.